The Garden City youth lacrosse program and Jay Gallagher Memorial Foundation is hosting the 20th Annual Jay Gallagher Memorial Tournament on June 17th, 2017 from 8am - 7pm. The tournament raises funds and public awareness for the Andy Foundation, Mollie Biggane Melanoma Foundation, the Miracle Foundation, Cancer Center for Kids at Winthrop University Hospital. Over 120 teams from the Northeast will participate with over 7000 players, coaches, and parents attending the event. The Jay Gallagher Memorial Foundation is a 501(c)3 non-profit organization dedicated to improving cancer awareness, improving the lives of those diagnosed with cancer, and finding a cure for the disease. The tournament memorializes Jay Gallagher, Andrew Palmeri, Mollie Biggane, Ryan Kohart and Dave Leistman. Ryan and David were lost in the September 11th tragedy. Ryan was a graduate of Garden City High School and a four-year letterman at North Carolina University. Ryan was the recipient of The Jay Gallagher Award, which recognizes "The Outstanding Freshman In The Carolina Lacrosse Program.” Dave was a graduate of Sewanhaka High School and a four-year Letterman at Adelphi University. A long time village resident, Dave was active in the Garden City Rams Lacrosse program coaching both boy’s and girl’s teams. It was with great sadness that the lacrosse world and local community heard of this tragic loss of such fine individuals. Jay Gallagher graduated from Garden City High School in 1970 where he co-captained the varsity lacrosse team. Jay was a four year defenseman at Cornell and tri-captained the "Big Red" his senior year, helping them to the NCAA semi-finals. After graduation, he acted as an assistant coach for North Carolina, Syracuse, Rutgers and Cornell from 1981-1985. His legacy is still present with the John W. "Jay” Gallagher Memorial Scholarship Fund, which goes to a needy Cornell underclassman. Jay had a memorable association with Garden City, Cornell and the lacrosse world, and it was with much sadness that members of these groups heard of his death on January 9, 1992, at age 39 from melanoma. The Mollie Biggane Melanoma Foundation has a mission statement to increase awareness for melanoma prevention, provide information and services on skin cancer detection, and support melanoma patients through education of the latest treatments. 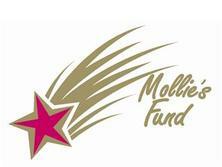 The Foundation was created in Mollie’s memory after her tragic death at the age of twenty. Various charities are chosen once a year to receive funds raised in Andrew Palmeri’s remembrance. Eighty elementary, middle school and high school students donated their entire weekend to support The Andy Foundation's mission statement "BY KIDS FOR KIDS.” The Jay Gallagher Foundation on behalf of the Andy Foundations are granting half of the tournament proceeds to the Cancer Center for Kids at Winthrop University Hospital.These young adults made this event possible and their devotion to the community and charitable service is greatly appreciated. 2017 Sponsorships Now Available. Click here to learn more.